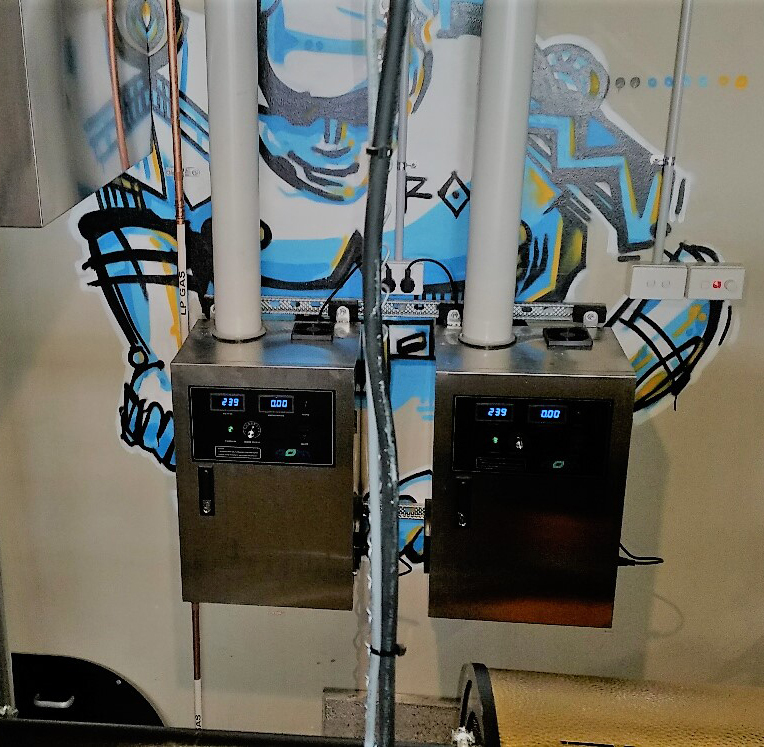 High efficiency smoke filtration using AOM SCRUBBOX Electrostatic filters and odour mitigation using AOM OG Series Ozone Generators for treatment coffee roasting exhaust prior to a sensitive discharge point. AOM Australia designed and supplied exhaust and filtration equipment to achieve high efficiency filtration and odour mitigation of coffee roasting exhaust in order to minimise impact of the discharge on the local environment. The project was installed and commissioned in August 2016 and has been running since. The location of the roasting facilities are in the Republic of Coffee cafe in central Lismore, meaning that the exhaust discharge is located in a sensitive urban environment. Republic of Coffee coffee is a high quality product that can be purchased online and delivered throughout Australia from their website.